Those of us who live or have lived in neighborhoods with more liquor stores, pharmacies and churches than cracks in the concrete understand. If you are greeted in the morning to the sounds of a nearby garbage truck having a weeks worth of trash for breakfast, if police sirens, fire trucks, buses account for the daytime noise, while helicopters, gunshots and more sirens wail at night, then you understand. You get it because you inevitably have said it. Perhaps you say it every day. We say it all the time. Like many colorful phrases it has several meanings. It can mean “the world is great,” as in I just got paid or we just had a baby, or I got a great new job. Or it can mean, “I’m surviving,” despite the circumstances, I haven’t gone under yet, I’m up off the canvas. Sometimes we mean it when we say it, and other times, we say it hoping to mean it, knowing nothing could be further from the truth. According to a Los Angeles Times report, “I’m good” was the last text that Eric Garner sent to his wife Esaw thirty minutes before he was confronted by police under suspicion of selling loose cigarettes, a confrontation that ended with Garner’s death at he hands of a chokehold from Officer Daniel Pantaleo. Garner’s last words were “I can’t breathe.” The incident was captured on video. 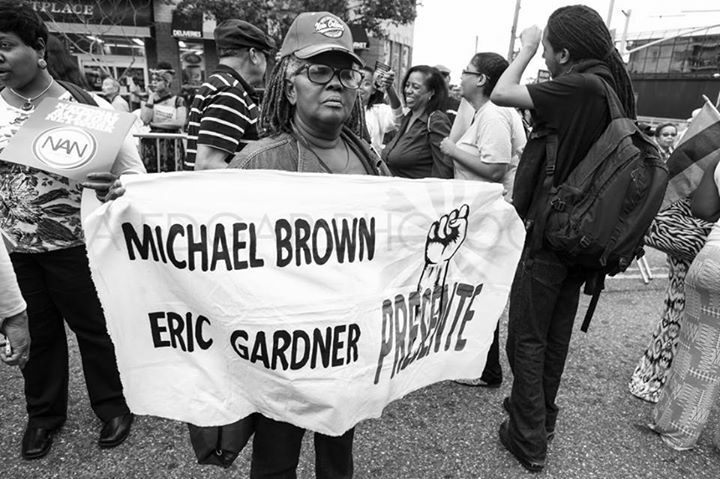 The medical examiner concluded that the chokehold led to Mr. Garners death. As word today comes that the Grand Jury will not indict Officer Pantaleo, one cannot help noticing the suffocating tension that exists in this moment in America. No matter what transpired in the half an hour before the last breathing moments on earth for Eric Garner, Michael Brown and Trayvon Martin, there is a single and chilling indelible cord that connects them: each of these Black men believed they were safe. None could expect that the next thirty minutes would be their last. Each was unarmed. Those who expect trouble do not walk about unarmed. At some terrifying moment, in a blink of an eye, only then did they fear for their life. The concern for the rest of us, the rest of society, is what happens next. This is a serious nationwide problem. It will happen again. And again. And again. So we may say, “I’m good.” We might even believe it. But none of us are good until all of us are good. Until then none of us can breathe easily.